This episode is by far the most powerful one I've done yet. After reading When the Body Says No: The Stress-Disease Connection, Robyn had a live breakdown on Periscope when she had the a-ha moment that her past, toxic relationship may have contributed to her multiple sclerosis. Robyn vulnerably shares about her healing journey, her return to self-love, and how she built a new life. This episode is full of realness and truth and Robyn honestly shares about how she overcame hardship and really did the work to transform her life and health. Robyn's MS is now in remission, she's finding work/life harmony doing what she loves, and just got engaged to an amazing human and ultra-supportive partner. Robyn is openness is truly inspiring and this episode is one of my favorites so far. Robyn Baldwin is an Alpha Female who helps women find work/life harmony. 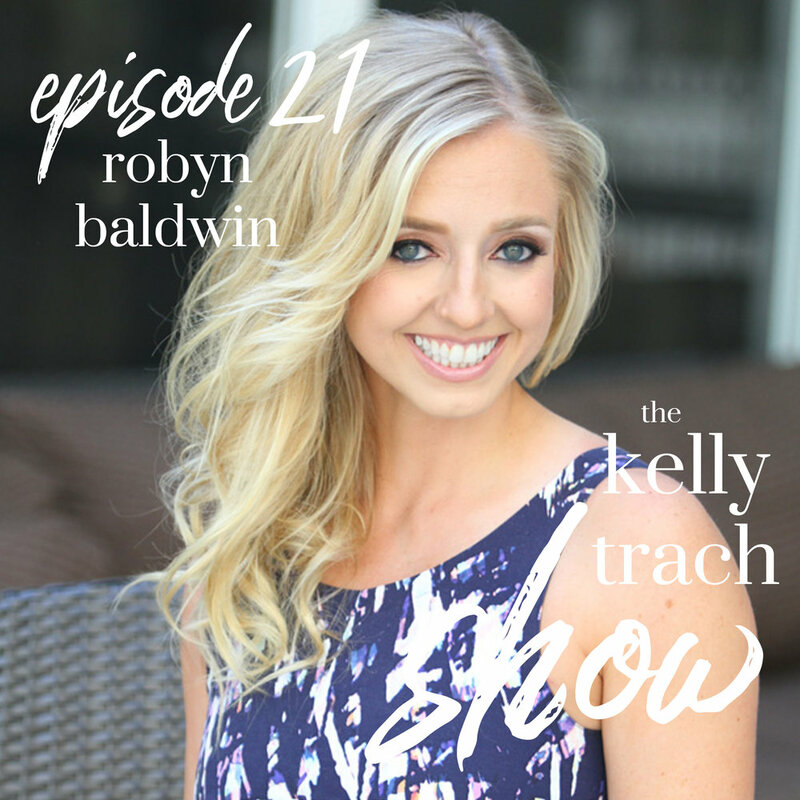 Robyn is a full-time Marketing Manager, a fitness/lifestyle blogger at RobynBaldwin.com, a Kobo best selling author, host of the Alpha Female Podcast and a passionate Essential Oil Educator. She loves weight lifting, running, obstacle course races, yoga and making seasonal bucket lists. After being diagnosed with MS in 2014 and starting out on a new health journey she's transitioned from being an MS Warrior battling an autoimmune disease to an MS Thriver and living well with the health sidekick. An Alpha Female is a powerful and assertive woman. Her confidence is due to being an intelligent and intellectual problem-solver. Being an Alpha Female is a state of mind based on choosing ambition and being proud of it. She strives for a happy and healthy work/life harmony. She is the brightest star in her constellation. An Alpha Female stays true to their authentic selves and their missions they shine. An Alpha Female puts herself first. She knows that work/life harmony is found by staying true to your priorities and what makes you happy. She is never complacent about striving for better and nurtures relationships with all the people in her life. - Robyn's story of trying to fix a toxic, broken relationship and ultimately calling off her first wedding. (Which she dives into fully in her book). - How Robyn did the work to overcome hardship, heal, and find her life again. (+ Robyn shares her self-love journey and how she's built an ultra-supportive relationship she with her new fiance). - The downsides of over-achieving, type-A personalities and how we can lean into the feminine side of the "alpha female," not just the "alpha" part. - About the "be" versus "do" mentality. (+ Why it's important to take intentional rest and learn to simply "be" and not view it as lazy). - The importance of listening and holding space without jumping in to solve other people's problems. (+ How critical it is to have one solid person in your life who can support you unconditionally). - How she learned to feel her emotions, process them, and communicate her needs better. - Understanding the negative stories you have on repeat. (+ How she used journaling to navigate her triggers). - Why we need to stop diminishing our needs by apologizing or making a joke. (+ Robyn's example of how she does this with her food preferences at restaurants). - How to start trusting your gut and understanding when your body gives you cues that something is wrong. (+ How she completed 20 races after her MS diagnosis, then developed adrenal fatigue and a sprained ankle). - Understanding that we can have "seasons" of life that come and go versus rigorous daily practices that us alpha females love.